The more points of contact you have during your shelving project, the more complex communication becomes. Dealing with a single point of contact from a single shelving contractor streamlines the process considerably, since all communication flows through one channel — not multiples — and your concerns are far less likely to slip through the cracks. This has a follow-on effect: improved accountability. If multiple vendors are involved, you’re not going to be the only one struggling to keep everyone’s roles and responsibilities straight. All too often, things go unaddressed for long periods of time because one vendor neglected to maintain contact with another, or because everyone assumes an issue that arises is someone else’s responsibility. Just like communication and accountability go hand-in-hand, so too are time and money inseparable. While some disruption is inevitable with any project, it can be kept to a minimum with care and experience; Shelving Design Systems brings plenty of both to the table. But as we’ve already seen, having too many stakeholders involved adds unnecessary complication and delays. Not only can this lead to delays and cost overruns, it also has a more insidious effect. That’s because those delays and disruptions have a direct impact on your bottom line. Inventory often needs to be re-homed or taken off the sales floor altogether during an installation, leading to customers looking for items that could be temporarily out of place or put in back stock; that, in turn, gives rise to frustration, lost sales, and potentially lost clients. Up until now, we’ve dwelt upon the downsides, and what happens when you don’t hire a shelving contractor. 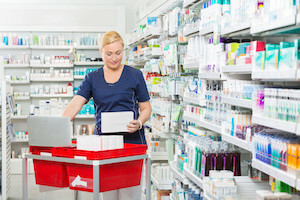 As we bring this to a close, let’s end on a high note for a change: how can you benefit from hiring a full-service pharmacy shelving company? For starters, experience matters. 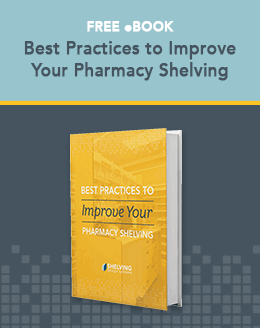 Shelving Design Systems has designed, consulted, and built for a number of pharmacy settings, including retail pharmacies, closed-door pharmacies, and long-term care pharmacies. We’ve also worked with retail operations of many shapes and sizes, giving us a unique perspective on shelving design. For another thing, that experience and the resources on which we draw leads directly to efficiency. Rather than lining up a separate shelving design consultant, project manager, installers, and custom fabricators, you get everything (and everyone) you need with a single phone call. Jobs are carefully planned, coordinated, and executed to minimize downtime, control costs, and get you back up and running with minimal headaches. To see what all of this looks like in practice, and how your business can benefit from the services and products we offer, get in touch with Shelving Design Systems for a shelving design consultation today!